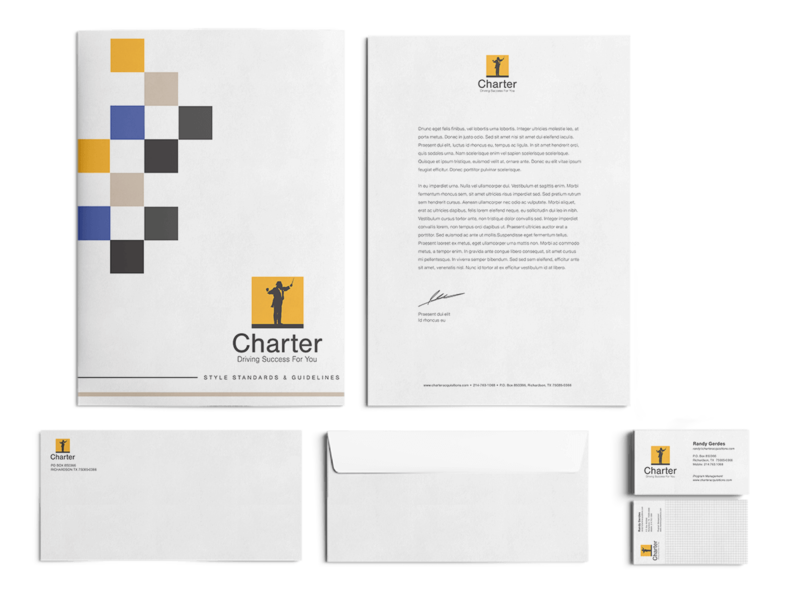 Charter Acquisitions wanted consistent branding, have guidelines lined out for vendors, and ultimately tie the brand assets together. After much debate, the logo design was chosen which brought a modern take on the original logo while maintaining the conductor image and tagline of Driving Success For You. The new logo and premier class soon found its way into the hands of clients. 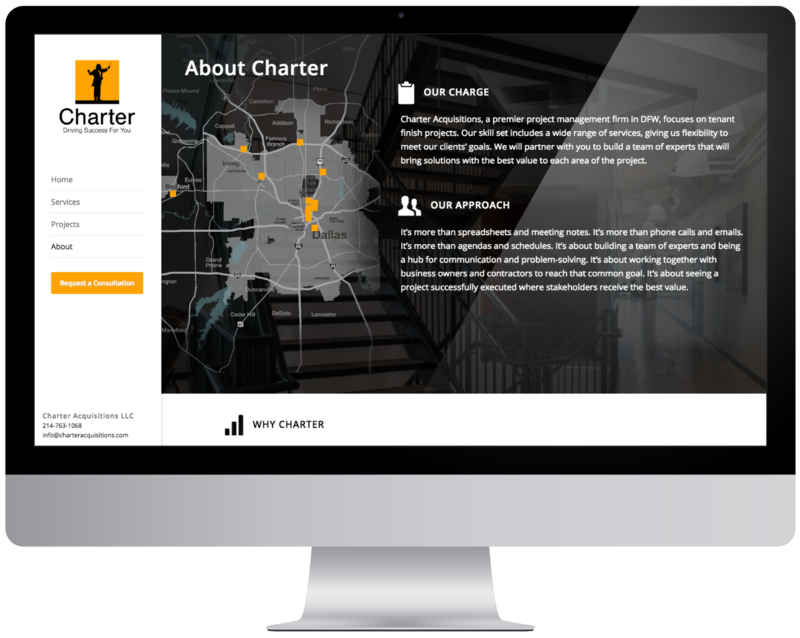 After completing the brand assets, Charter searched for their web presence through two other firms before returning to us to complete that project as well. They were not disappointed. We redesigned their website and worked closely with them to organize their content.